We initially met Paul when he promptly answered a call to help us with a leaking copper roof on a historic house. He then took time to carefully and properly make the repairs and then followed up to ensure that the leak was stopped. And it was! I am a local REALTOR® who values contractors who can inspect and provide valuable reports to clients. Paul does an outstanding job. Clients have used his service for tile roof reports that no one else seems to have the expertise to provide. I recommend Paul with confidence that clients will get the most professional opinion in a timely manner. Olde World Masters is the best I have worked with in the roofing service industry. Paul is honest, reliable and an expert at diagnosing and repairing slate roofs. A pleasure to work with someone who knows his trade. 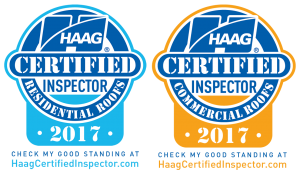 Need a quote for an inspection, repair, or to manage a project? We believe in performing exceptional work in a professional manner. Give us a call or fill out the contact form and we will look forward to working with you.